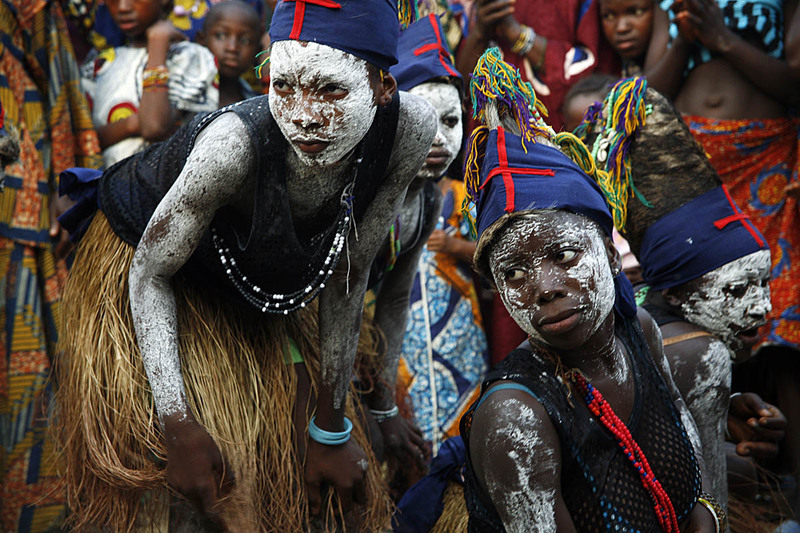 Young girl dancers, in traditional Kono dress, perform at a welcome ceremony before a Fambul Tok bonfire that evening. This project, begun in 2006, is firmly rooted in the conviction that the West has much to learn from Africa -- and that the West's constant attempts to judge, aid, image, correct, save and exploit the continent are a sad reflection of our own ignorance and arrogance, a kind of neo-colonialism for the twenty-first century. My learning journey has been an exploration of forgiveness traditions in post-conflict African countries. I've spent time in Sierra Leone, Liberia, northern Uganda, South Africa and Rwanda. The stories are as different as the continent's diverse cultures and peoples – indeed, in Rwanda I found a cautionary tale -- but there is a common thread that weaves through them all: a great and unquenchable conviction that we are defined by the relationships we have with others, that we live in community and more important, that we need that community if we are to survive. In the ten years that it took me to complete this project, I was sidetracked at times – I directed and produced a feature-length documentary film that grew out of the Fambul Tok chapter of this work in Sierra Leone. The Aftermath Project, the photography non-profit I started to help other photographers tell post-conflict stories, always demanded my time and energy. At one point, I had no funds – but a 2012 Guggenheim fellowship in photography launched the final phase of this work. I am indebted to Libby Hoffman/Catalyst for Peace and the John Simon Guggenheim Foundation for their support. Without them, this project would not have been possible.